Instead of enjoying a leisurely summer vacation spent on a beach somewhere, Assistant Editor Ettie Berneking spends her time biking across the corn-covered state of Iowa. And she’s not alone. There’s something magical about the morning hours. As the sun crawls over the horizon, fellow campers clad in tight spandex fill water bottles and pump up bike tires. It’s only 7 a.m., but the day’s ride has already started. The hours that follow are a haze of pork chops, butter-drenched corn, rowdy beer gardens and about 70 miles of cycling. 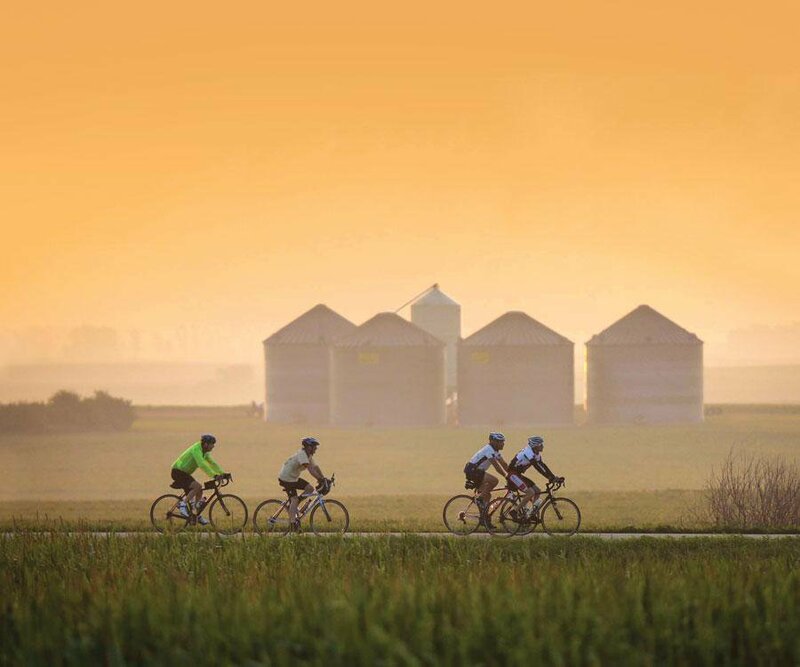 For those unfamiliar with The Des Moines Register’s Annual Great Bike Ride Across Iowa, this seven-day event brings thousands of riders from across the state and across the globe together to celebrate their love of biking. For the past four years, my family and I have joined in the revelry. I don’t remember how or why we got started, but here is why we are doing it all over again. 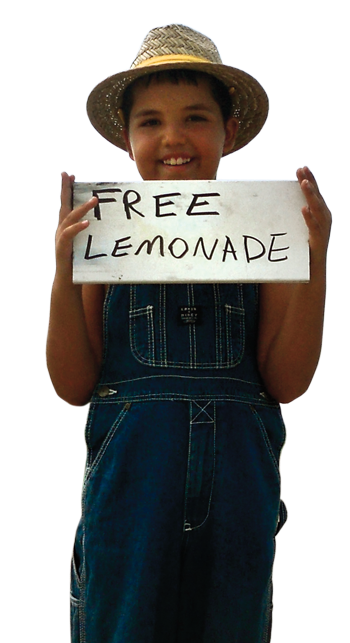 Each year, thousands of cyclists take over the hilly roads through Iowa, and local residents come out to sell watermelon, lemonade and snacks along the route. If you don’t love being outdoors for 12 hours a day in 100-degree heat or doing without a real shower for seven days, then this bike ride might not sound all that appealing. And to be honest, I don’t love sweating all day either, but for one week out of the summer, I don’t mind. That’s because on RAGBRAI, impressively hideous tan lines bring high-fives, and a certain layer of dirt and sunburn is the secret password. Have that, and you’re in. This week-long bike ride is essentially a rolling party. Each day’s route is peppered with stops in small towns that practically roll out the red carpet for the cyclists. 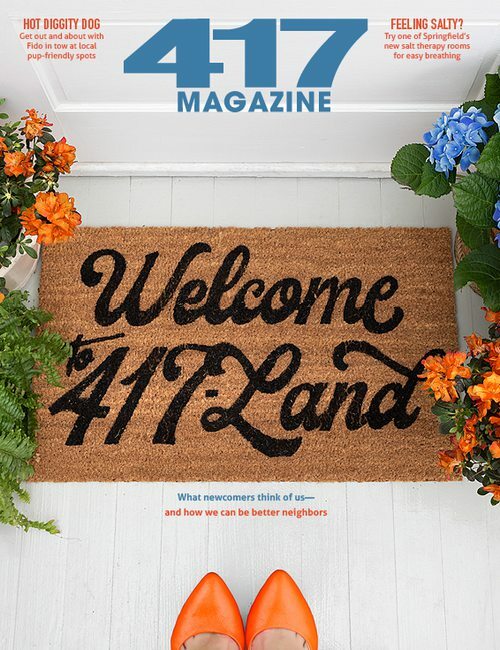 Beer gardens offer all kinds of refreshments, local churches and schools shell out slices of homemade pie in every flavor you can imagine, and the fire department hauls out a long hose punctured with holes that spurt cold water in the air. These makeshift watering stations double as a place to soak your head for a quick minute. And after a long day of riding in July heat, you need the break. Back on the road, the next stretch is just as entertaining as the stops along the way. Some bikes are loaded down with speakers blasting Bruce Springsteen or Third Eye Blind. These are the riders you want to surround yourself with. The sing-alongs help you forget the often scorching heat and seemingly endless miles ahead. People passing ask where you’re from, how many years you have been riding on RAGBRAI and what kind of bike you have. Usually, I’m too exhausted to answer. I don’t remember how my family first wound up at RAGBRAI. We are not a cycling family. Growing up it was all about softball and motocross. Bikes came later when I was in college. The first bike I ever bought was a forest green Schwinn that won my heart. That thing must have weighed 30 pounds, but it was beautiful. I eventually traded the Schwinn for a broken down road bike my roommate was throwing out before eventually shelling out hard-earned cash on a brand new Dawes road bike named Sheila. I didn’t name it that. It came with that moniker emblazoned on the side in bright red letters. I actually saw another Sheila on RAGBRAI one year. It was a great moment, but its owner quickly pedaled past me before I could call out some sort of greeting that would signify our unexpected bond. I’m not an avid cyclist. I typically haul Sheila out of the garage three months before RAGBRAI and return her to her spot a few weeks after we get home. But those weeks before the big ride, I’m training every moment I can. The first year we signed up, I was naive to how out of shape I was. My training sessions nearly killed me. On one particularly ill-fated ride, I found myself emptying my stomach of the energy bar I had devoured into someone’s grassy front yard. That ride was no more than 25 miles, and I was looking at riding 60 to 80 miles a day during RAGBRAI. But it was full-steam ahead, and somehow we all made it. My dad, who has always been athletic but who had traded his trim Navy physique for the beginnings of a beer gut, rode almost the entire 455 miles and lost 15 pounds in a week. My mom, who never took part in organized sports and who would complain about the weight of grocery bags, even enjoyed the ride—and she was on a hybrid bike (not ideal for RAGBRAI). We learned a lot that first year. We learned none of us were in the right physical condition to cycle 60-plus miles a day. We learned this ride is just as much about the food as it is the miles logged. And we learned Iowans are the nicest people you’ll meet (something my parents who are Iowa born and raised have always said). When the next year rolled around, there was no doubt that we were signing up for RAGBRAI again. So out came Sheila, and off we went for another week of cycling. 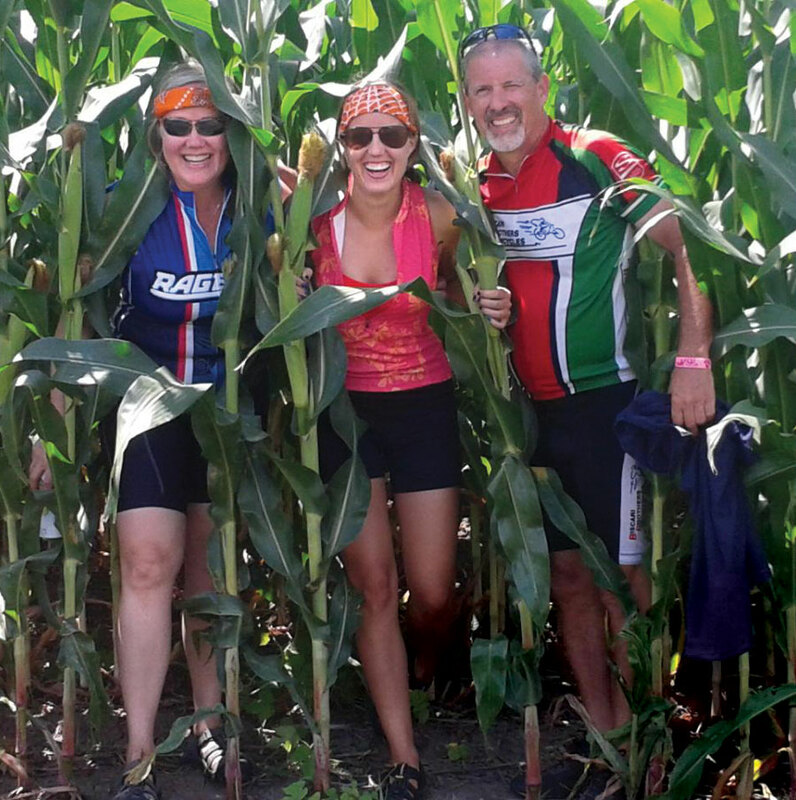 Ettie Berneking (center) and her parents, Pam and Dave, snuck into the corn to take the obligatory RAGBRAI photo. 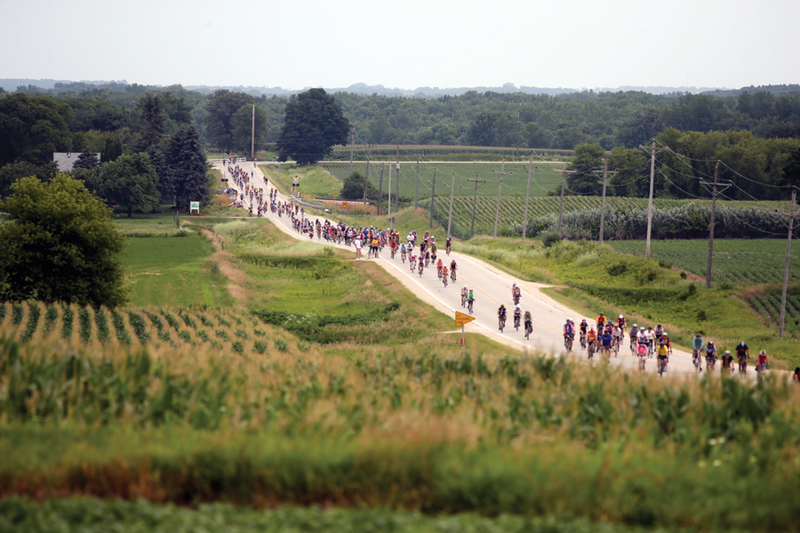 Registration for the 2015 RAGBRAI closed April 1. 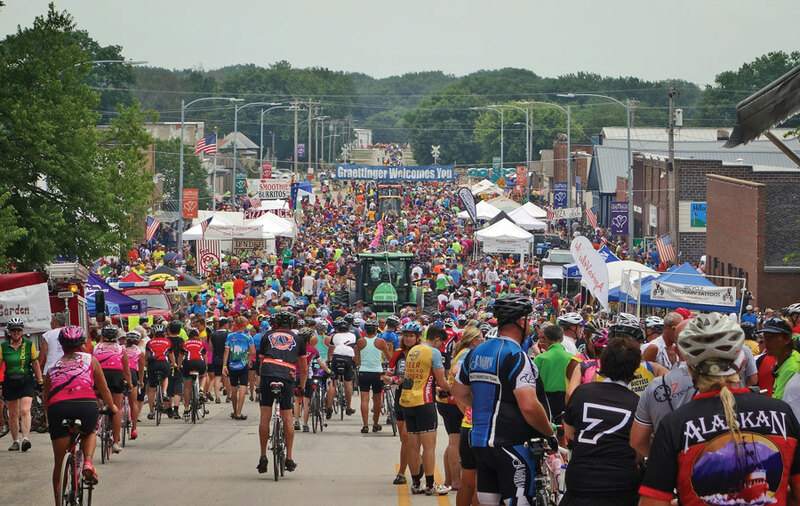 Keep an eye on ragbrai.com for information on the 2016 event. By year four, we have definitely learned a few tricks. Tip No. 1: Don’t bring too much food. You won’t need it. What you will need is cash. Roadside stands selling watermelon, energy bars, Gatorade, homemade ice creams, pie, breakfast burritos and even giant turkey legs can be found every few miles. I’m pretty sure my aunt Lisa, who joins us each year, stops at each and every stand. She’s been riding in RAGBRAI since she was 12 years old—back when cut-off jean shorts were the biking gear of choice. She’s a pro at this point. If she wants a hot, juicy turkey leg, she’s getting one. Me, one the other hand, I’m usually just trying to stay on my bike while my dad lectures me about the optimal way to change gears when tackling an upcoming hill, which leads me to tip No. 2: Be ready for hills. Iowa is not as flat as you think. I still have nightmares about Twister Hill, which was about one-mile of straight incline. About halfway up, everyone started to lose momentum, and riders were tipping over left and right. I got caught in the fray while Aunt Lisa flew by yelling insulting jeers at me as she passed. But probably my favorite hill was from the last day of our first year. This also happens to be my mom’s least favorite hill. My mom is an inspiring woman, but three years ago, she wasn’t the most athletic person. So when the route was scheduled to end in Davenport, Iowa—her home town—she couldn’t wait to roll across that finish line. Unfortunately, there was a change in the route, and we ended up cruising through a dumpy part of town on freshly poured asphalt before slowly crawling up one last giant hill. I made it up and looked back for my mom. There she was, walking her bike up that damned hill as tears poured down her cheeks. At first I thought she was hurt, but it was just her ego that was bruised. “I couldn’t make it!” was all she could choke out between sobs. She has since ditched the hybrid bike and can now handle hills with ease. If you’re a regular cyclist, this ride most likely won’t be difficult for you. If anything, the hardest part will be managing your patience as slower riders like myself get in your way. Each year we hear about riders who finish a day’s route in just a few hours. They’ll cruise into town around 11 a.m. while my family and I are just pedaling into our first stop of the day. Then there are riders who take their time. These are the folks who come to RAGBRAI for the beer gardens, the slip ‘n slides, and every photo op along the way. They end their ride as the sun is finally starting to set. Our little group falls somewhere in the middle. Now that we’re practically RAGBRAI veterans, we’ve perfected our system, which involves one of us hauling the camper to the end town while the rest of us hit the road. Each day, my mom and dad trade off driving. (My record of smashing into things has barred me from the wheel.) If my dad drives, he’ll set up camp and then hop on his bike and meet me and my mom at the halfway point. If my mom drives, I’ll join her and take the chance to rest my legs. But each year, thousands of riders bike the entire route. Some haul their gear with them; others pay to have their gear dropped off at the next town. Then there are the teams, like Team Pie Heads. Their riders all have plastic slices of pie tied to the top of their helmets. These teams arrive at RAGBRAI crammed into tricked-out school buses. But we like our camper. It has AC, comfy beds, a full kitchen and, most importantly, a bathroom. Somehow there is always a line for the port-a-potties during RAGBRAI, so we cherish our tiny private lavatory. As the route passes through town, residents roll out the welcome wagon with beer gardens, tractors of and an assortment of foods for sale. Now that summer is here, Sheila, in all her baby blue glory, has been dusted off once again, and my parents and I swap weekly phone calls to check in about our training rides. According to my dad, if you can get in just 10 miles of riding three times a week, you’ll be ready to go! Sunscreen has been bought. Snacks are prepped and ready to go, and the camper is loaded with all the Wheach beer we will need. Forget the lake. We’re headed to RAGBRAI!